4” 6” 8” & 10” round tiers. 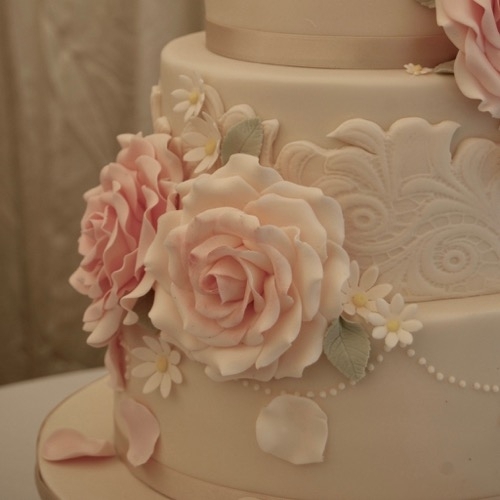 Handmade sugar roses, daisies and leaves. 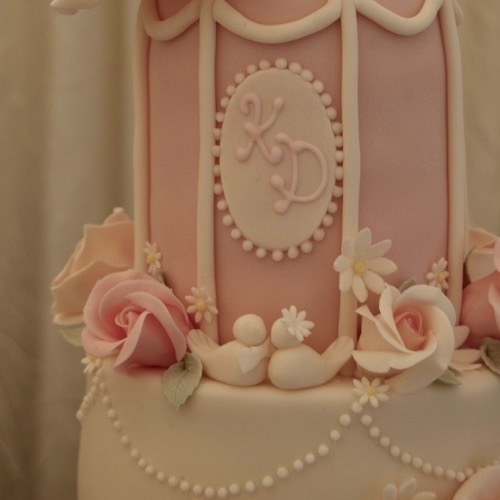 Handmade sugar monogram, love birds and birdcage detailing. 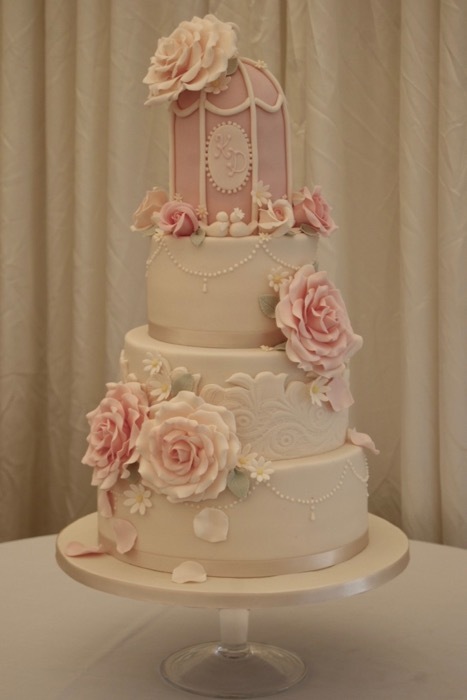 Royal icing piped pearl swags and hand made moulded lace wrap.